Well January is over, so it’s officially that time of year where everyone forgets their New Years resolutions and the gym is finally bearable again. 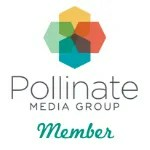 Well I haven’t forgotten mine yet… well not completely. Good thing I wrote them down here. I have figured out though that some of my resolutions needed some… modifications. Modifications to make them goals that I can actually keep for the whole year. For example, one of my goals was to eat healthier. But that is a little too vague for me. So instead, I’m setting out to be more specific about how I am going to change my habits for a better overall lifestyle. 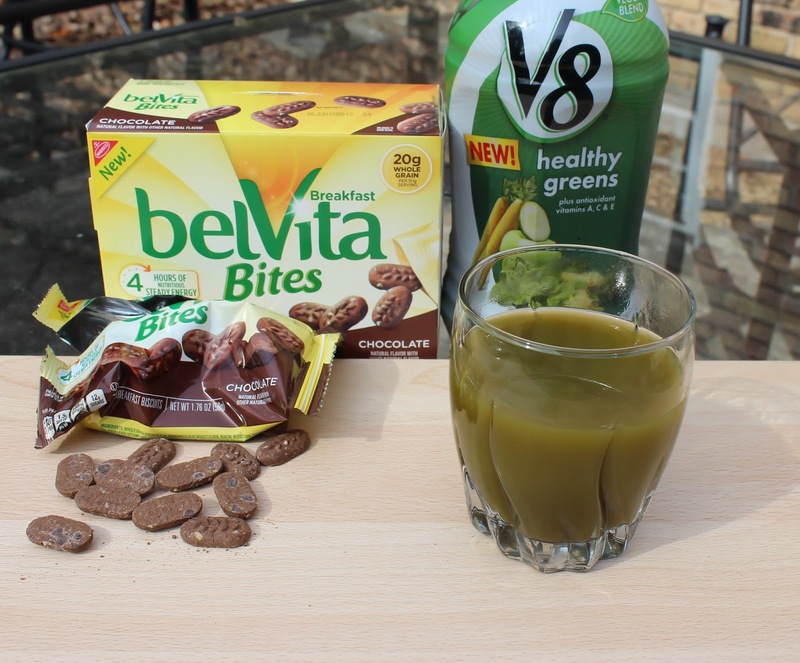 The first specific change I decided on is to start each day with a healthy and nutritious breakfast with V8 Veggie Blends and Belvita Breakfast Bites. I’m terrible at remembering to eat breakfast. Every morning I make a point of feeding Maddie Grace, and by the time I get her breakfast ready and then get mine ready and sit down to start eating she’s done eating and fussy so I forget about eating mine and go on with my day. each day! I’m not a veggie eater, I pretty much just don’t eat veggies, so getting some vegetable goodness in a beverage is essential to me. 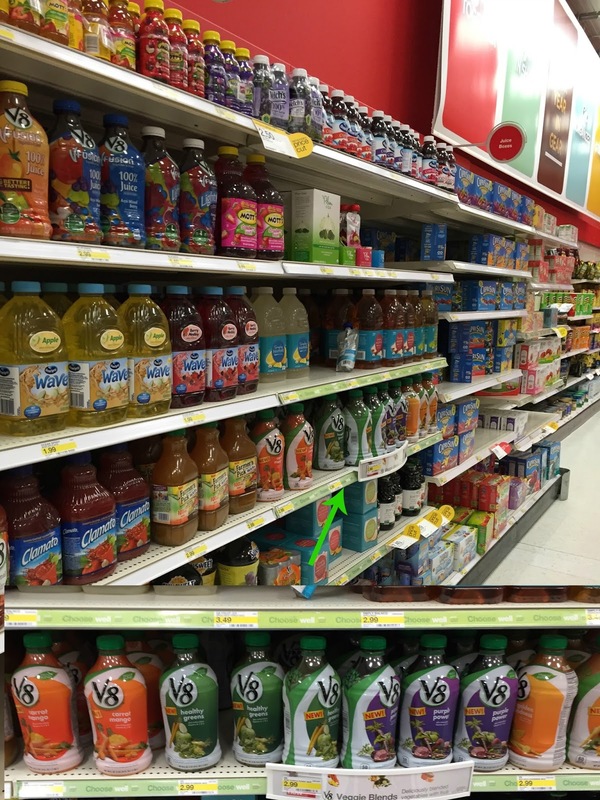 V8 Veggie Blends are a delicious blend of vegetables with a splash of fruit and include one whole serving of vegetables in every 8 ounce glass, and it includes no artificial colors, flavors or preservatives. 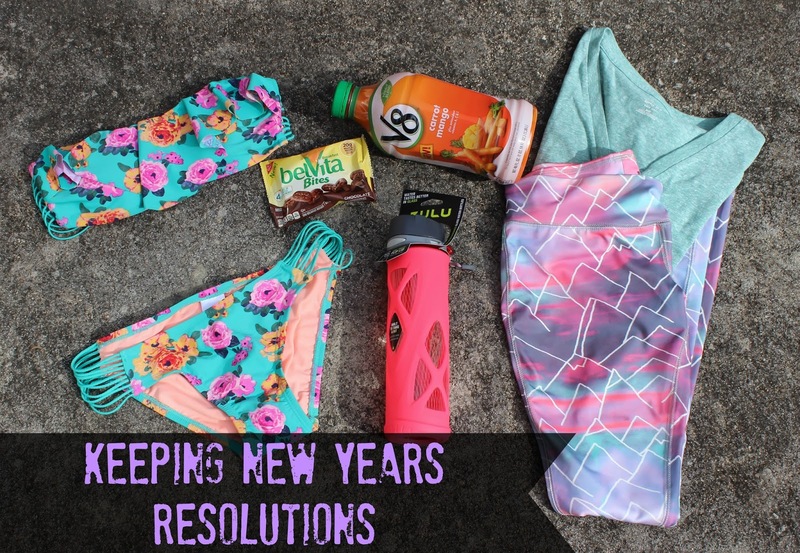 And now some of the other products helping me stay on track with my New Years resolutions, all of which I purchased at Target. First up? This Zulu water bottle. It is genius. Another specific goal that I’m adding under my eating healthier category is drinking more water because I don’t come close to enough. A large part of that I blame on chasing around a 9 month old who has made it her personal mission to knock over any glass of water she can possibly get her little hands on. This bottle says made for athletes on the packaging, but I’m pretty certain they meant for it to say made for moms. First of all, it’s glass so your water is going to taste good, and it’s not going to spill out when your baby knocks it over. Speaking of knocking it over, it’s coated in rubber so it also won’t shatter when it’s knocked over. 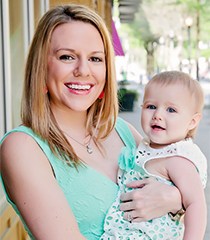 The top flips up easily when you press a button, and there’s a switch to lock the top in place so it can’t open for those times your baby starts to play with it. 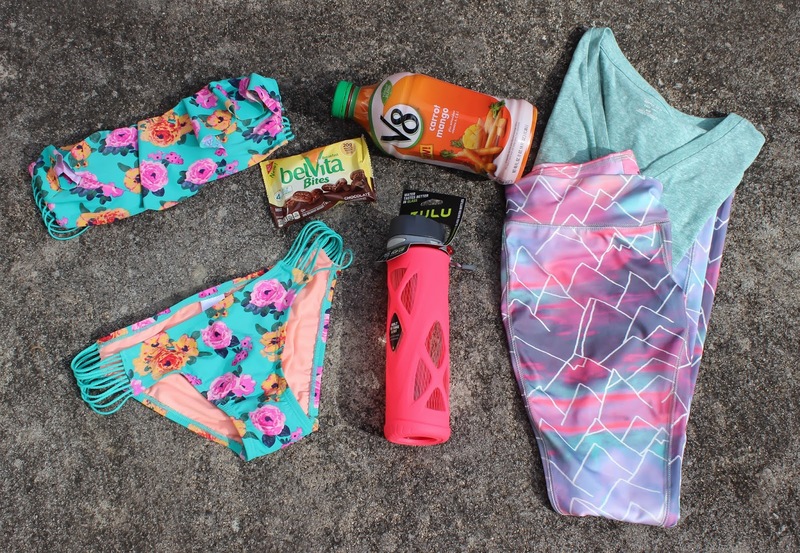 And you might be wondering about the adorable bathing suit. I think it’s important to have inspiration, so this bathing suit is going to be sitting out in my house to remind me that I’m working towards having a body that I can show off in that suit. And of course who doesn’t need a cute workout outfit to help them remember to make it to yoga class? 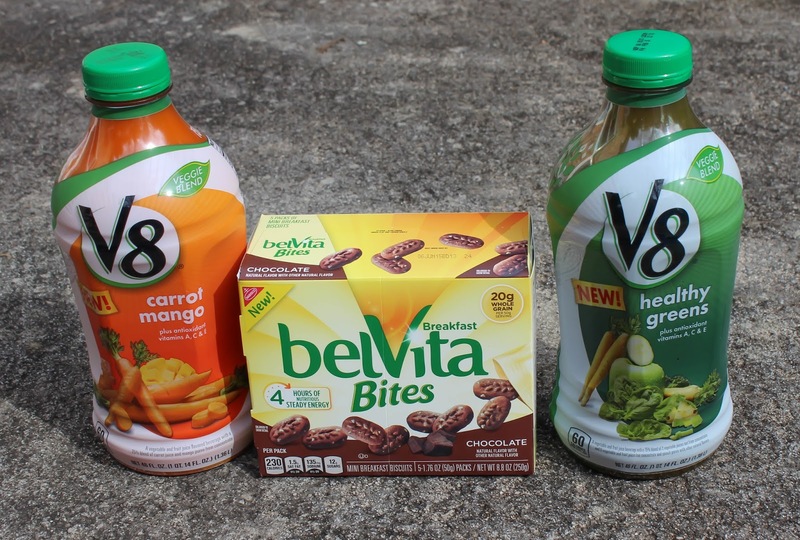 V8 Veggie Blends and Belvita Breakfast Bites can be found at Target, look for them in the New Year New You section! 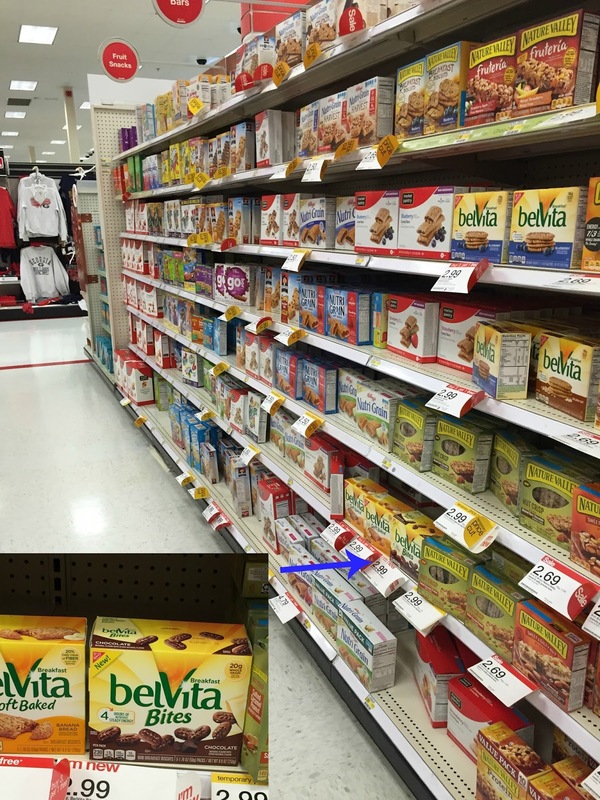 And don’t miss out on the Cartwheel offers for Belvita here, and V8 here and here. What are you doing to hold yourself accountable for your New Years resolutions? 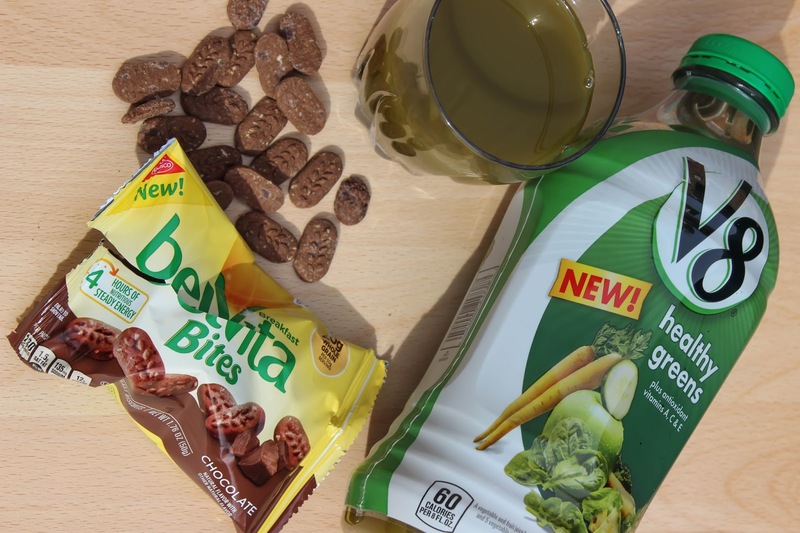 I need to try those Belivita bites! Love that bikini!